Where to begin with such a passage? 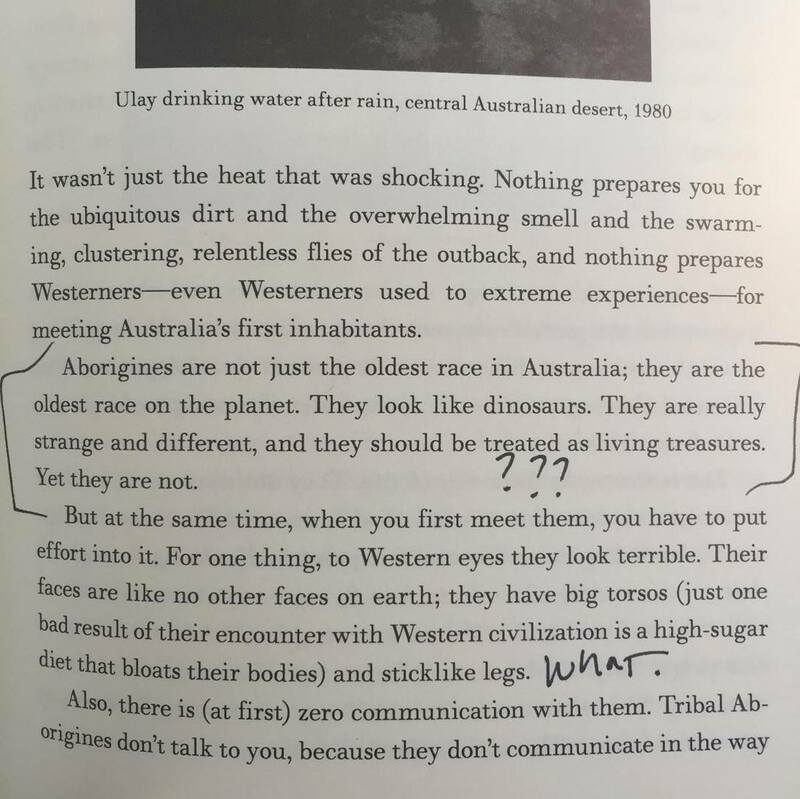 Do we criticize the comparison of the indigenous inhabitants of Australia with dinosaurs? The callous description of a community that doesn’t fit the “Western” beauty aesthetic? Honestly, there’s no good place, but the reality is that this passage in Marina Abramović’s upcoming 384-page memoir, titled Walk Through Walls and to be published by Crown Archetype, is a mess. Considering she already combats an image of aloof elitist, I can’t imagine someone didn’t let the artist know that this passage should probably be cut. I reached out to the publisher for a review copy (in order to verify this passage) but have not heard back. From what I can tell, the artist may be present but definitely requires a better editor — and a better understanding of global cultures. I have the greatest respect for Aborigine people, to whom I owe everything. The time I spent with members of the Pijantjatjara and Pintupi tribes in Australia was a transformative experience for me, and one that has deeply and indelibly informed my entire life and art. The description contained in an early, uncorrected proof of my forthcoming book is taken from my diaries and reflect my initial reaction to these people when I encountered them for the very first time way back in 1979. It does not represent the understanding and appreciation of Aborigines that I subsequently acquired through immersion in their world and carry in my heart today.